rifle, carbine, and shotgun applications. 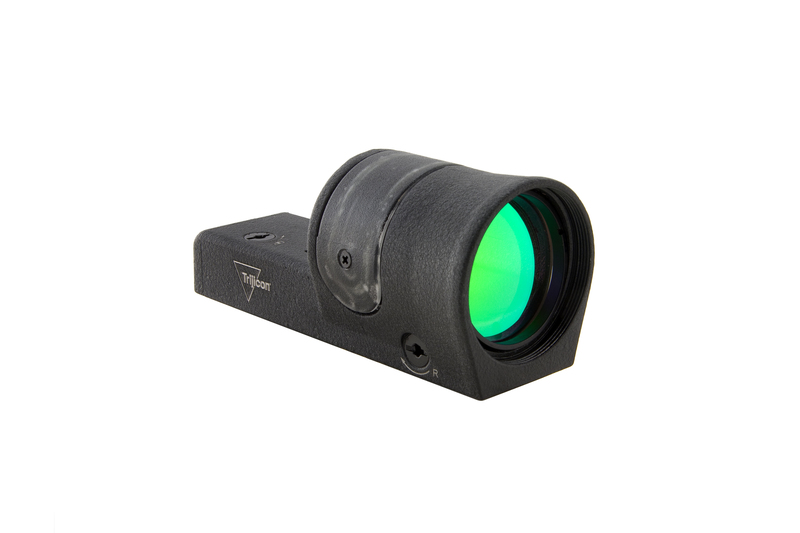 The unique green reticle offerings function as a highly visible reference for close-in shooting that provides a precision aiming point without obscuring the target at extended ranges. The new reticle options will be available in 4.5 MOA and 6.5 MOA dot sizes. The Reflex is powered by Trijicon’s famous dual-illuminated technology that combines the distinctive illumination characteristics of Tritium with the light-gathering capabilities of advanced fiber optics, delivering maximum visibility and dependability when called to action. Nearly indestructible, the Trijicon Reflex sight features durable aluminum-alloy housing and true-color multi-coated lenses. Tested to military standards, the robust Reflex sight is designed to withstand the rigors of hard use under the most severe environmental conditions. For more information on Trijicon’s Reflex sights, and the complete array of Brilliant Aiming Solutions™ for the hunting, shooting, military and law enforcement markets, contact Trijicon, Inc. ® at (248) 960-7700 or visit www.trijicon.com. Wixom, MI –Trijicon, Inc., global provider of innovative aiming solutions for the hunting, shooting, military and law enforcement markets, will now offer their Bright & Tough and HD Night Sights for the Heckler & Koch VP9 pistol. This new offering is available in multiple front/rear configurations for a variety of applications. Trijicon Night Sights have served as the industry benchmark for more than two decades. Highly effective at close quarters, Trijicon Night Sights are standard issue with hundreds of municipal and county police and sheriff’s departments, numerous state police departments and federal law enforcement agencies. In addition, they’re the first choice of major handgun manufacturers, and are widely used in military applications and for personal defense. HD Night Sights are designed to excel under the most demanding conditions by placing primary emphasis on faster front sight acquisition. 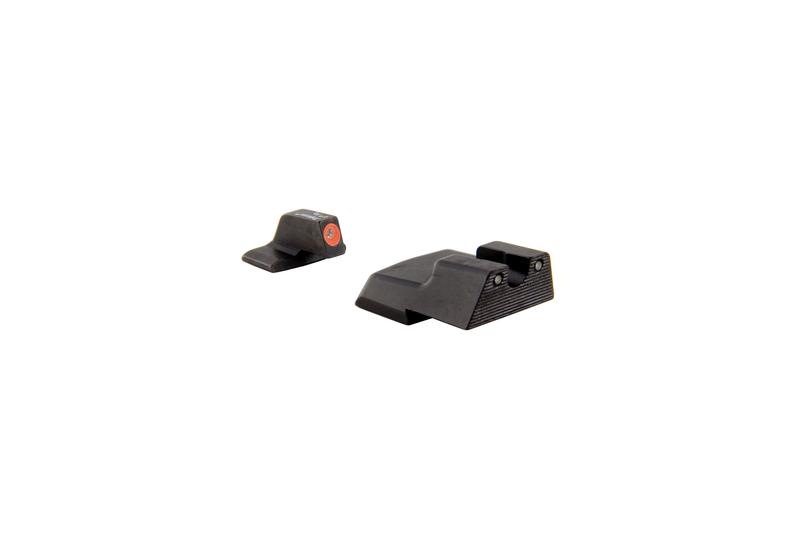 This new design incorporates enhanced front sight visibility with a de-emphasized rear sight. Upfront, a tritium lamp lies within an extra-large, brightly colored (yellow or orange) dot area that provides a distinctive sighting picture. In addition, special photo luminescent (glow-in-the-dark) powder in the paint aids in faster front sight acquisition during transitional lighting operations. Trijicon self-luminous Night Sights increase night-fire shooting accuracy by as much as five times over conventional sights. Equally impressive, they do so with the same speed as instinctive shooting– and without the need for batteries. 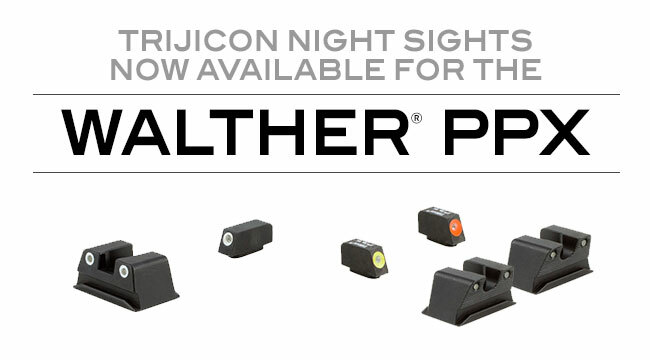 For more information on Trijicon’s Bright & Tough™ and HD™ Night Sights, and the complete array of Brilliant Aiming Solutions™ for the hunting, shooting, military and law enforcement markets, contact Trijicon, Inc. ® at (248) 960-7700 or visit www.trijicon.com. For Hi-Res images, please contact Eddie Stevenson at eddie@driftwoodmediacom.com or visitwww.driftwoodmediacom.com. Wixom, MI – Due to growing demand, Trijicon, Inc., global provider of innovative aiming solutions for the hunting, shooting, military and law enforcement markets, is now offering their proven Bright & Tough and HD Night Sights for the Walther PPX pistol. The new offering will be available in multiple front/rear configurations for a variety of applications. Trijicon Night Sights™ have served as the industry benchmark for more than two decades. Highly effective at close quarters, Trijicon Night Sights are standard issue with hundreds of municipal and county police and sheriff’s departments, numerous state police departments and federal law enforcement agencies. In addition, they’re the first choice of major handgun manufacturers, and are widely used in military applications and for personal defense.